Home Question & Answer	How much does Freedom Boat Club Cost? How much does Freedom Boat Club Cost? How much does it cost to belong to Freedom Boat Club? It’s typically the first question I get from someone who is considering joining. There are various elements that determine the fees. There is not a cookie-cutter, standardized pricing that it applicable coast to coast. Membership fees vary from club to club, just as some fitness clubs charge $70 a month while others $15 a month. Location, amenities, and other factors all play a role in determining fees. 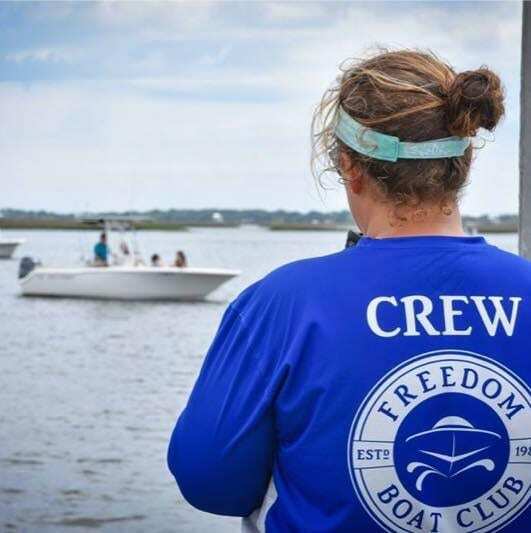 Every member of Freedom Boat Club, and there are 15,000 across the nation, pay a one-time fee to join, and then a monthly fee. It is to be expected that a Freedom Boat Club franchise operating from a five-star marina would have significantly higher expenses than one based in a more modest marina. Please keep in mind that many of the franchises and corporate clubs occasionally offer promotions and incentives during the year, so be sure to ask if special offers are available. These fees also vary across the country for the reasons cited above. Many of our clubs are located in warm climates and operate year round with unlimited boating. This requires year-round staffing and maintenance of the fleet. In contrast, some clubs located farther north operate only certain months of the year. Many of the clubs in year-round boating locations offer three-month and six-month seasonal membership options, allowing members to choose and pre-select the months they want to use the club. These seasonal memberships are less costly by month, due to the more limited boating usage. But the fees are paid monthly, on a year-round basis, as every club incurs costs that are year-round. In terms of membership plans, some clubs also offer special weekday only rates. In some markets, there are special membership provisions for retired or active duty military and first-responders. Some also offer friends and family programs. Franchise owners and operators choose the plans that best fit the usage patterns and profiles of members in their respective marketplace. Obviously, with more than 148 clubs scattered throughout North America, along with the many different types of membership plans available, we cannot list the one-time fee or monthly plan options for every club, for every plan offered. That is why we don’t publish a standardized membership rate card, because of the varying locations and the unique pricing considerations. That’s why when someone asks, “What does it cost to join Freedom Boat Club,” the answer is: It depends.